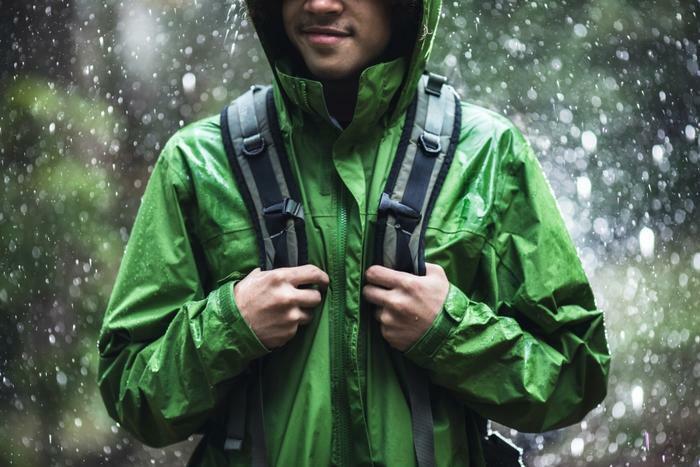 Researchers from the University of Leeds are calling for dangerous fluorochemicals to be phased out of consumers’ waterproof and protective clothing. According to the researchers, more eco-friendly options are available, especially for waterproofing purposes. However, clothing worn by emergency personnel and paramedics needs to be protected by more than just water. “Environmentally-friendly and biodegradable solutions are available, but are being resisted by some manufacturers and retailers,” said Dr. Richard Blackburn, head of the Sustainable Materials Research Group at the University of Leeds’ School of Design. While the researchers’ work showed that the majority of consumers are only looking for their clothes to be waterproof -- and not stain resistant -- making it possible to switch to more eco-friendly choices, medical professionals and military personnel rely on the fluorochemical repellents to stay free of stains, infections, and chemicals. In an effort to be more innovative with sustainable alternatives, researcher Philippa Hill created a new testing method that allowed her to test various waterproof finishes and their effectiveness in protecting wearers against various liquids and stains. “Currently, only non-fluorinated chemicals can provide the high levels of protection needed from other types of liquids, such as oils, chemicals, and bodily fluids, so there is a major opportunity for future innovation in that area,” Hill said. The researchers tested regular household items -- like orange juice, water, olive oil, and red wine -- and then moved on to more field-specific items, like cough medicine, synthetic gastric fluid, and blood. The experiment showed that non-fluorinated repellents didn’t work for gastric fluids or any oil-based stains, but they showed some promise with the cough medicine and blood and were very successful with the red wine and orange juice. The researchers want the clothing and textile industry to understand how harmful fluorochemicals are to the environment, as they are major contributors to pollution, and strive to utilize sustainable materials in the future. While many corporations have decided to go green with various sustainable initiatives, a recent study found that not going green could affect some companies’ bottom lines down the road. Researchers found that if companies -- particularly those that produce the highest levels of carbon emissions -- don’t try to reduce their carbon footprint, the stock market could start to dip in less than 10 years.